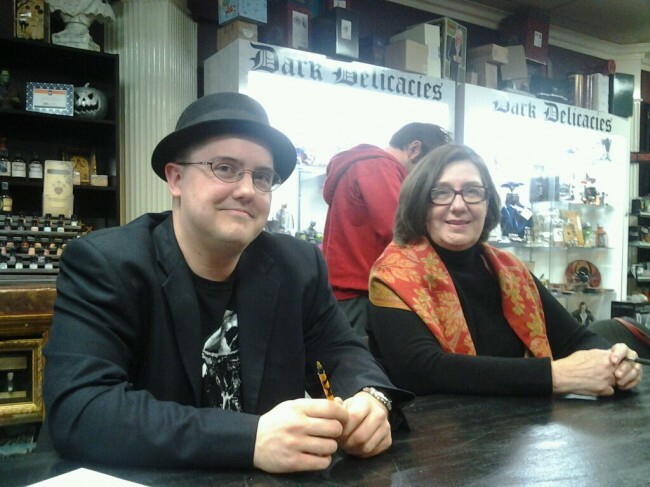 Horror home Dark Delicacies is hosting a signing for authors Diane O’Bannon and author Matt Lohr. The book is Dan O’Bannon’s Guide to Screenplay Structure: Inside Tips from the Writer of Alien, Total Recall and Return of the Living Dead. In addition to the screenplays in the title, late screenwriter Dan O’Bannon’s credits also include Lovecraft riff Bleeders, some of the inspiration for the recent Prometheus, and John Carpenter’s Dark Star (in which he also acted). Dark Delicacies head honcho Del Howison is a member of Gothic.net’s Panel of Experts. Dan O’Bannon famously crafted his screenplays using a self-designed system which he called “dynamic structure.” This book outlines how O’Bannon’s method differs from those of other well-known screenwriting gurus, and illustrates with examples from classic (and not-so-classic) films how dynamic structure can be applied to craft narrative and character. O’Bannon also includes his insights on subjects such as the logic of the three-act structure, the role of the producer in screenplay development, and the psychological principle known as “hedonic adaptation,” which has a unique effect on the structuring of screen stories. Posted by Gothic.net on Saturday, December 15th, 2012. Filed under Books, Events, Headline, Professional. You can follow any responses to this entry through the RSS 2.0. You can skip to the end and leave a response. Pinging is currently not allowed.